Gaius Norbanus Flaccus was a Roman politician and general during the 1st century BC, and one of the moneyers for the year 83 BC. He was the grandson of Gaius Norbanus, and his family was in opposition to Sulla - and later supported Julius Caesar and then Octavian. Norbanus served as a general during the civils war of the Second Triumvirate. 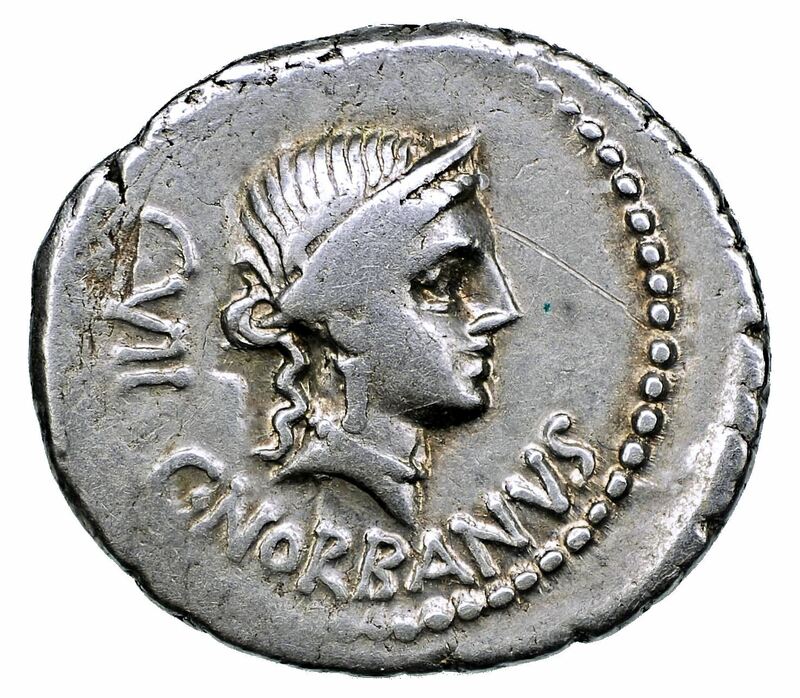 In reward for his service, Octavian nominated Norbanus as consul in 38 BC. He was the first consul to have two Quaestors. He then held the posts of proconsul in Spain from 36 - 34 BC, and proconsul of Asia shortly after the Battle of Actium in 31 BC.